As any Broadway aficionado knows, the Tony Awards celebrate excellence in the theater. 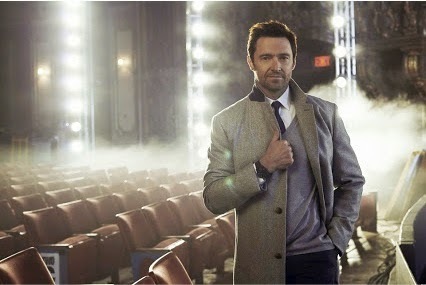 While we cannot get enough of some of the nominees, including Beautiful – the Carole King Musical, A Raisin in the Sun and Hedwig and the Angry Inch – this year, a major highlight will be a night on the couch with Hugh Jackman. Well, you know, me on the couch, him hosting the ceremony, which broadcasts June 8th on CBS. 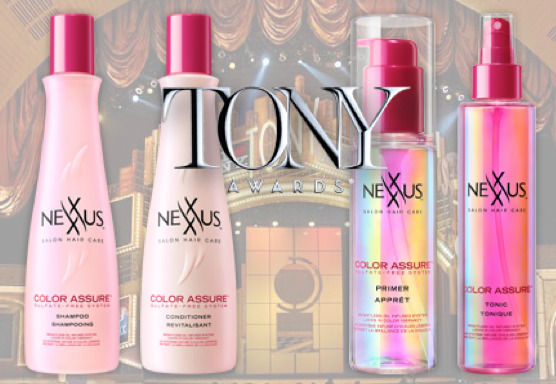 To make the night even more enticing, we are teaming up with Nexxus – the official Beauty Partner of the Tony Awards – for a show-stopping giveaway. This rich, sulfate-free formula provides a luxurious lather that gently cleanses and nourishes hair for long lasting color vibrancy. Our exotic orchid-oil infused formula moisturizes hair while preserving color vibrancy. For hair that’s soft, smooth and nourished. Our first pre-cleanse treatment creates a shield that helps protect color by repelling water. Simply apply 1-2 drops into your palm, and smooth it onto hair before you shampoo. Add more if necessary for thicker hair or longer lengths. Begin and focus on the tips and massage up towards the roots. 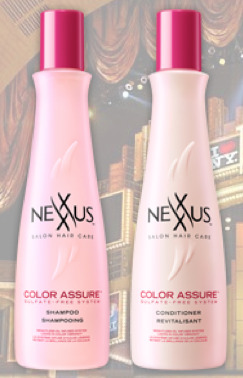 Hair should feel soft and silky, not saturated, with optimal amount of product applied. 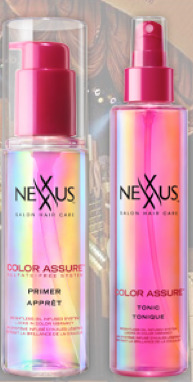 Infused with white orchid extract, this revolutionary formula keeps color vibrant 2X longer. This weightless exotic orchid-oil infused formula provides a fine mist that dries quickly and instantly brings out color’s luminosity. It’s the perfect finishing touch for reflective shine. THE FINE PRINT: The contest will be live from 5.28.14 and ends at midnight (EST) on 6.8.14. One winner will be chosen at random from among the entrants. The winners will be notified by a direct message via Twitter. Contest is only open to U.S. residents.